Antonito, Colorado was formed, like many other Colorado towns, from the railroad; specifically because the town of Conejos did not want a Denver & Rio Grande Railroad train depot. In 1883, the station was built and it began operating. Conejos, a small town a few miles north, was established before Antonito from a group of families banding together in search of a land grant from the Mexican Government. They received it and pledged to never abandon the land and to cultivate it. The southern San Luis Valley city of Antonito is rich in culture and history from the Ute Indians and the settlers who called the valley their home. Antonito lies between the Conejos and the San Antonio rivers at an elevation of 7,888 feet and is the gateway to the beautiful, 40-mile Conejos River Canyon. Here is where outdoor enthusiasts love to fish, hunt, and hike. 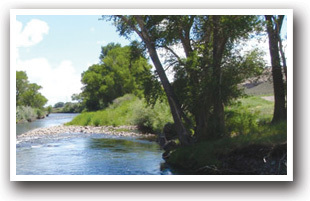 The Conejos River offers excellent Trout fishing (Rainbows and Browns) and the occasional Northern Pike. The Platoro Reservoir has wonderful fishing for Brown and Rainbow Trout and some Kokanee Salmon after the spring thaw, and is stocked with Rainbow Trout in the summer. No matter the river or lake, fishermen will always have something biting their line. Antonito is home to many past and present railroad lines. It was once the "main line" of the Denver & Rio Grande Railroad, but today, Antonito is the main station for the Cumbres & Toltec Scenic Railroad. It is an authentic trip south to Chama, New Mexico that brings Colorado history to the present day. 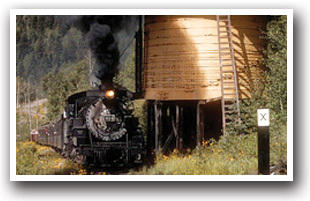 North of Antonito, you can catch the Rio Grande Scenic Railroad towards Alamosa. 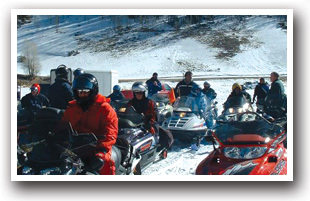 For winter enthusiasts, try snowmobiling over Cumbres Pass. There is a bit of a drive to get there but well worth the time, 36 miles west of Antonito along Highway 17 passing through Mogote. Years ago, animals, Native Americans, and settlers crossed over this 10,000 foot pass but today, snowmobilers are given free reign during the winter and the Cumbres & Toltec Scenic Railroad uses it during the spring and summer months. 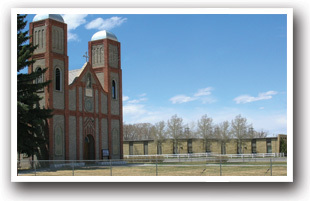 Some other historical things to see nearby: the oldest church in Colorado, Our Lady of Guadeloupe Church located in Conejos, the Jack Dempsey Museum in Manassa, Colorado, 9.5 miles north of Antonito. Both of these places are along the Los Caminos Antiguos Scenic Byway. This byway starts up in Alamosa and travels through small towns, over rivers, and past railroads giving you a layout of the area you wouldn't normally see. It is a wonderful way to explore the area. Antonito is located 6 miles north of the Colorado-New Mexico border along Highway 285 and 149 miles southwest of Pueblo along Interstate-25 and Highways 160 and 285. Commercial air travel accommodations are handled by the San Luis Valley Regional Airport 27 miles north of Antonito. Please contact your preferred travel agent or airline for flight arrangements.